Although Mexico and the United States share a border of nearly 2,000 miles on the same continent, there are many differences between the two cultures that define and celebrate the heritage of each country. Here in the United States, we often witness much of the Mexican culture, particularly in the south. Along our borders, the two cultures blend, which can result in a misunderstanding of Mexican culture on behalf of Americans. You may think you know the real Mexico, but do you really? 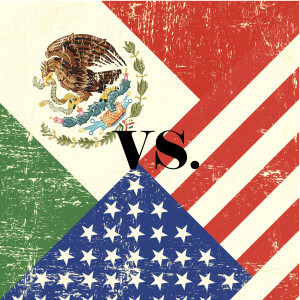 Read on to learn more about the differences between Mexican and American culture. United States: In the United States, there is no federally recognized language, but over half of the 50 states have recognized American English as their official language. While English is the most widely spoken language in the nation, there are believed to be nearly 150 living languages spoken around the United States today. Mexico: Like the United States, Mexico does not have a defined language. However, Mexico is the most populated Spanish-speaking country in the world, as there are most Spanish speakers in Mexico than there are in Spain! The Mexican government also recognizes 62 indigenous languages that are spoken within the country’s borders, called Amerindian languages. United States: With the exception of Native Indigenous Americans, the entire population of the United States is comprised of people and their families who immigrated to the country at one time or another. Early on, the majority of immigrants were from European countries, which is why European Americans make up 75% of the American population. Currently, Hispanic and Latino Americans make up the largest ethnic minority. Mexico: The people of Mexico are made up of a variety of different heritages. After Mexico achieved independence from Spanish colonization in the early 1800s, a fusion between indigenous pre-Columbian ancestry and the Europeans who stayed in the country after colonization helped to create the unique multi-ethnic culture that makes up Mexico today. United States: In the United States, Americans place a lot of their self-worth on their profession, so much so that in some cases, work is placed before family. Children are raised are often raised in a more independent manner, and are encouraged to be independent of their family. Mexico: In Mexico, family is usual placed ahead of profession. Most children are raised with a lot of parental care, and are taught to put the family first. It is not uncommon to see large Mexican families living in one location together for generations. United States: In the U.S, there really is no such this as “traditional” American food, simply because America is considered to be the “melting pot” of many different heritages and cultures. Cuisine will vary based on location, and is largely influenced by the people living in the area. Mexico: Mexican food is well known world-wide because of its distinct flavors and colors. Mexican food contains many delicious spices and herbs, and while most traditional dishes have originated in Mexico, it is not uncommon to see a Spanish influence in the cuisine as well. If you are interested in learning more about Mexican culture, or would like to try some delicious Mexican dishes for yourself, stop by Acapulcos Mexican Family Restaurant & Cantina at our many locations across Massachusetts and Connecticut!